When thinking about Native American rings, most people instantly picture the turquoise ring, and for good reason. 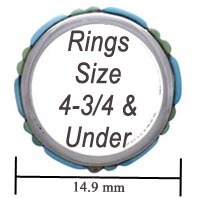 Our turquoise ring selection is huge and our quality is unmatched. 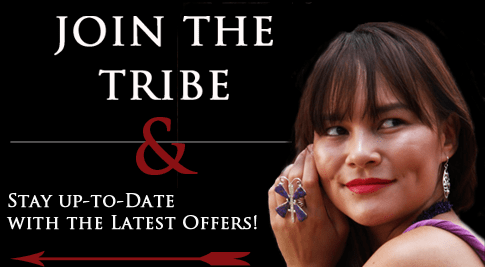 With the low prices we offer and the vast inventory of styles we have, it easy to find something to fit any Native American turquoise jewelry enthusiast's needs. Whatever your style, SilverTribe has the turquoise ring to fit your needs. Turquoise comes in an array of colors ranging from a beautiful honey brown to many shades of blue and green. While some Turquoise rings display a beautiful matrix (the lines that can form a web like pattern in the stone) others can just be pure color. Rings with a Native theme can have as many different meanings to the tribes of the American southwest as there are styles to choose from. With our huge selection of turquoise rings for women and turquoise rings for men in many different sizes, it is easy to find the right one for yourself or as a gift. Turquoise rings are extremely popular and are worn by people all over the world. The stones found in many turquoise rings usually are mined in the Four Corners region, or the high desert. 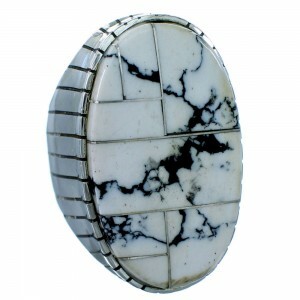 The stone comes in many varieties such as but not limited to Sleeping Beauty, Emerald Valley, and Kingman. Turquoise can symbolize the eternal sky, rain, healing, and purity. To the Apache turquoise was believed to be a powerful stone that, among other things, allowed straight shooting when attached to a bow. The Zuni associate green turquoise engagement rings with female power, while the blue is associated with the male. The Hohokam (one of the most ancient tribes) adorned their sacred burial site in turquoise, so the significance of this stone cannot be overstated. 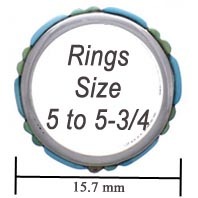 Turquoise rings can bear cultural significance or can be fashion Jewelry. 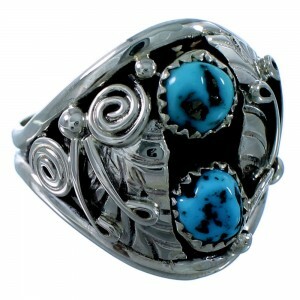 Most Native American Indian turquoise rings for men are made of sterling silver or gold, and combinations of the two. As the art of soldering advanced, turquoise rings became more and more prevalent in native cultures. Soon, the Zuni, Hopi and Navajo were making stunning turquoise rings in all sorts of arraignments and styles like, big turquoise nugget rings, smooth and cobblestone turquoise inlay rings, stone clusters, turquoise needlepoint rings, turtle rings, flower rings, in both men's rings and women's rings. 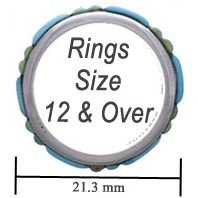 The Zuni rings are known for beautiful inlay work, while the Navajo rings are better known for their amazing clusters. However these tribes have much more to offer than just one style, these artists are only limited by their imaginations. As these ancient cultures intermingle new and amazing pieces of wearable art are coming to light, while still paying homage to the traditions of their elders. Native American turquoise rings can be used as wedding rings, gifts of friendship, they can hold deep meaning to the wearer, be casual gifts, and can be prized Items in any collection. 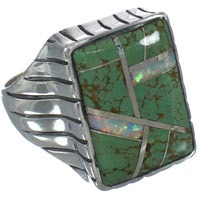 The turquoise ring is one of the most versatile and collectable pieces of jewelry. Turquoise rings can range in shape, size and price; they can make a great accessory, or even be an eye grabbing centerpiece.